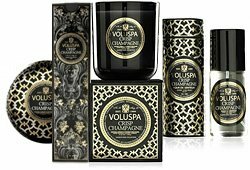 Voluspa - Synonomous with exotic extravagance. 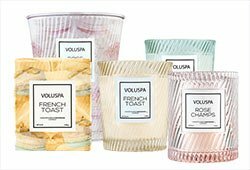 Discover what makes Voluspa a favorite candle brand by so many candle connoisseurs. 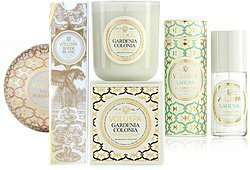 Shop Candle Delirium for the BEST Voluspa Candles. 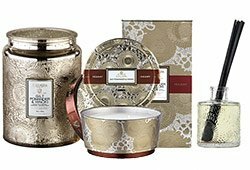 Burn one & discover luxe living. 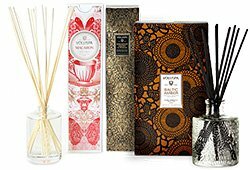 Treat yourself & have your home smelling Hollywood's elite! 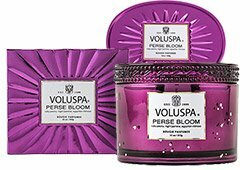 In 1999 Troy and Traci Arntsen created their famous Voluspa Scents. 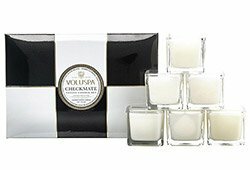 These luxurious scents are at once familiar, yet definitely high end. 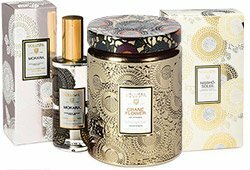 Striking packaging and extraordinary scents, Voluspa Home Fragrance products are found in prestigious retailers and are a staple in the homes of Hollywood's elite. 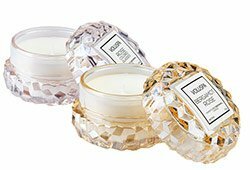 Discover Voluspa's Maison Noir Candles and our well-loved giftsets from Voluspa.